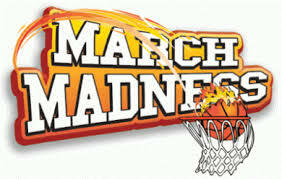 It's mid-March and sports fanatics across the country are beginning to formulate, speculate, and anticipate the outcome of this year's "Big Dance." College powerhouses and Cinderella hopefuls will tip-off several different tournaments across the country in hopes of advancing to the final game in Arlington, Texas early next month. Sixty-four teams will emerge as victors from their respective conferences and hit the hard wood hoping to claim the ultimate title as the 2014 NCAA Basketball Champion. This year marks the 75th anniversary of a tournament steeped in tradition and rich in talent. If you're a loyal basketball follower, you may be familiar with the eligible teams, the basic rules, and even the analytics of picking your tournament bracket. But, we've compiled a list of interesting fun facts you may not know about the NCAA tournaments. Hopefully, this list will inform you and get you pumped for the start of March Madness (even though the final game will be played on April 7 this year). Oregon won the first NCAA tournament in 1939 and they have not been to the Final Four since. UCLA has won the most NCAA Men's Basketball Tournaments: 11. Number one seeds have won five of the past six championships and 10 of the past 14. Bob Knight, Dean Smith, and Joe B. Hall are the only individuals who have won an NCAA championship as both a player and a head coach. Knight won as a player at Ohio State in 1960 and as the coach of Indiana in 1976, 1981, and 1987. Smith won as a player at Kansas in 1952 and as the coach of the North Carolina Tarheels in 1982 and 1993. Hall won as a player at Kentucky in 1949 and as the coach in 1978. Jim Calhoun became the oldest coach to ever win a national championship in 2011 at the age of 68 His UConn Huskies defeated the Butler Bulldogs 53-41. In 1940, Emmett B. "Branch" McCracken was the youngest coach, at age 31, to ever win a national championship. His Indiana Hoosiers beat the Kansas Jayhawks 60-42. In 1968, dunking was outlawed in the championship game, but reinstated in 1977. 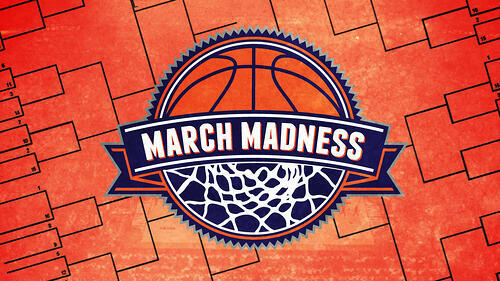 Total ad spending for NCAA tournament time reached $1,005,000,000 in 2012. The average cost of a 30-second commercial during tournament time in that same year, 2012, was $1.34 million. Up until 1986, NCAA victors were repetitively shown snipping the nets from the winning arena. After that year, teams were also given the actual hardwood court on which the championship game was won. Many schools have reused it, sold the pieces or kept it as a memory.